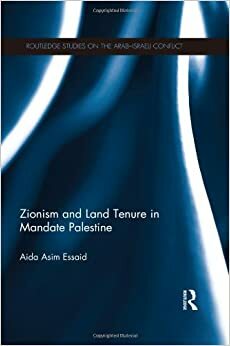 Zionism and Land Tenure in Mandate Palestine, by Aida Asim Essaid. London and New York: Routledge, 2014. Routledge Studies on the Arab-Israeli Conflict. 247 pages. Appendices to p. 253. Bibliography to p. 264. Index to p. 272. $145.00 cloth.